Image via weaversway.coopLocal favorite Weavers Way Co-op in Mt. Airy is expecting big changes this summer. Construction has already started on the Mt. Airy Pet Supply and Wellness storefronts, combining them to make an extended space that will include a huge bulk section for buying nuts, grains, snacks, dried goods and oils. While the main building is under construction, the Mt. Airy store has opened a special Pop-Up Shop in the community meeting room at 555 Carpenter Road. For convenience to Mt. 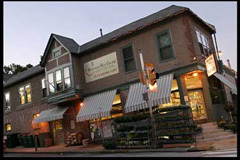 Airy shoppers, a shuttle van will travel to and from the Chestnut Hill Store Tuesday and Thursday evenings, as well as Saturday mornings. And don’t worry, the Co-op isn’t going anywhere! In fact, they have tons of events planned for the summer, including parties, cook-outs, crafts and more. Check out what’s in store for the upcoming months here.